Judo is a modern martial art that emphasizes throws, pins, chokes and joint locks. One of the underlying principles of Judo is "seiryoku zenyo" - (maximum efficiency with minimum effort). This principle can be seen in the more than fifty throws of Judo that allow a smaller person to defend themselves against a larger opponent. Judo also strives to teach its students "jita kyoei" - (mutual welfare and benefit) to create a safe and encouraging environment for all levels of Judo players. 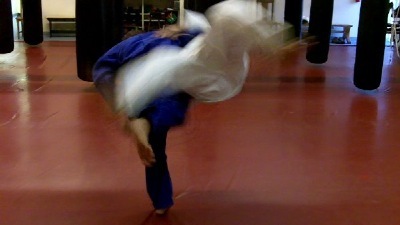 At ANK Martial Arts, Judo is practiced both as a competitive sport and as a martial art for self-defense. It is also a great supplemental martial art/sport for Brazilian Jujitsu players seeking to improve their stand-up game. Judo classes at ANK are taught by the Northern New Mexico Judo Club under the supervision of Sensei Ted Price. The club is a Class C Club with the United States Judo Association. All ages and experience levels are welcome.